The first driverless shuttle in Ireland will make its debut in Dublin’s Docklands on September 21st and 22nd. The special event organised by Dublin City Council as part of its ‘Smart Docklands’ project and in partnership with the Civic Group will bring a glimpse of the future of smart and sustainable transport to Dublin. 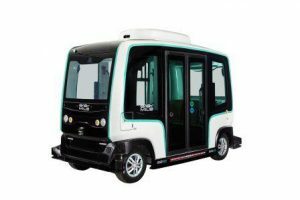 The Easymile EZ10 shuttle is a driverless electric vehicle that can carry up to 15 passengers. It has an in-built access ramp for mobility-challenged passengers and doesn’t need any additional road infrastructure in order to operate. The EZ10 is currently in daily operation at locations in the US, Holland, China and Estonia and is expanding globally. European Mobility Week is taking place in 41 countries across Europe between the 16th and the 22nd September 2018. The focus is on the shift to more sustainable and green transport options for getting from A to B. 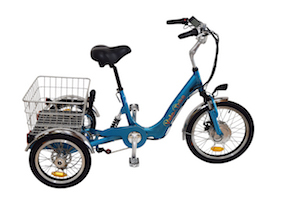 As part of the week, Dublin City Council and its partners (including ebikes Ireland) are hosting the Future Mobility Showcase and the EZ10 is being brought to Ireland to show its citizens what the future of mobility looks like.